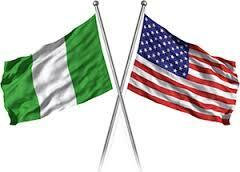 The United States says it has announced a $5 million contribution to the Multinational Joint Task Force to boost the military operation against the Boko Haram insurgency. The U.S. Assistant Secretary, Bureau of African Affairs, Linda Thomas-Greenfield, announced this at news briefing via telephone from the African Union Summit on Monday. “We have been working with Nigeria as well as the African countries to address their concerns about Boko Haram because we don’t see this as just a Nigerian problem. “We are having discussions with President Buhari on how we might bolster our support. We have already been working with them and providing information. “We are providing some training and support and we’ll love to work with the new administration to see how we might increase the level of support to Nigeria. “At the same time, we’ve just announced at the venue of the AU, five billion dollars contribution to the Multinational Task Force. Mr. Thomas-Greenfield said that Africa had faced “some really horrendous terrorist attacks” over the past two years. He listed the West Gate and Garissa University attacks in Kenya, and the Boko Haram attacks particularly, the kidnapping of the Chibok girls among others. “While I would not say Africa is under siege, Africa has some major security challenges. She said the U.S. is providing a strong support to AU on security as the U.S. has a strong partnership with the continent on security. “We are working closely with the Lake Chad Basin countries: Nigeria, Chad, Niger and Cameroon to address the issues of Boko Haram,” she said. She said that U.S. had so far trained about 250,000 African peacekeepers, saying U.S. highest priority in Africa remained security. The U.S. envoy expressed support to the warrant of arrest issued by the International Criminal Court against Sudan President Omar Al-Bashir. She said that the U.S. frowned at plans by some African leaders to subvert the constitution to extend their terms in office, saying U.S. supports two-term limit in office.